As his ministerial committee prepares to meet, PM Binyamin Netanyahu says there will be no action in Hevron until the facts are established. Prime Minister Binyamin Netanyahu on Tuesday said the proposed evacuation of Beit Hamachpela (House of the Patriarchs) is on hold until the facts can be verified. "I am coordinating with the defense minister. 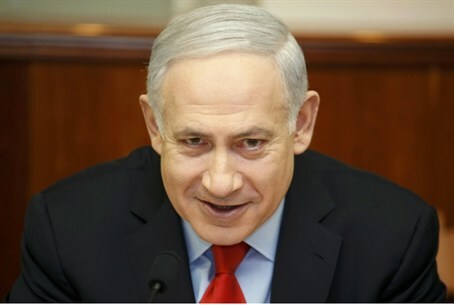 I asked him to hold off on the evacuation so we can establish the legal facts in this case, and that is what we are doing," Netanyahu said. Netanyahu is expected to convene his ministerial committee of 15 senior ministers at 18:00 to discuss the crisis in Hevron. The Prime Minister's comments came after a 15:00 deadline from Defense Minister Ehud Barak for 15 Jewish families to voluntarily leave the building passed without action from the IDF. Barak had said he would force the issue, but has apparently backed down in the face of united and angry opposition from Netanyahu's ruling Likud party. Of particular note is that Barak's push to evict the families at Beit Hamachpela was based not on a court challenge to the purchase, but the families’ failure to properly validate the sale with his ministry. The families say they moved in after the sale fearing the building – uninhabited – would be occupied by local Arabs before the Civil Administration validated their purchase. Several Likud lawmakers have charged Barak is seeking to use the issue as an electoral ploy – his Independence party continues to poll beneath the requisite threshold to be seated should elections be held.